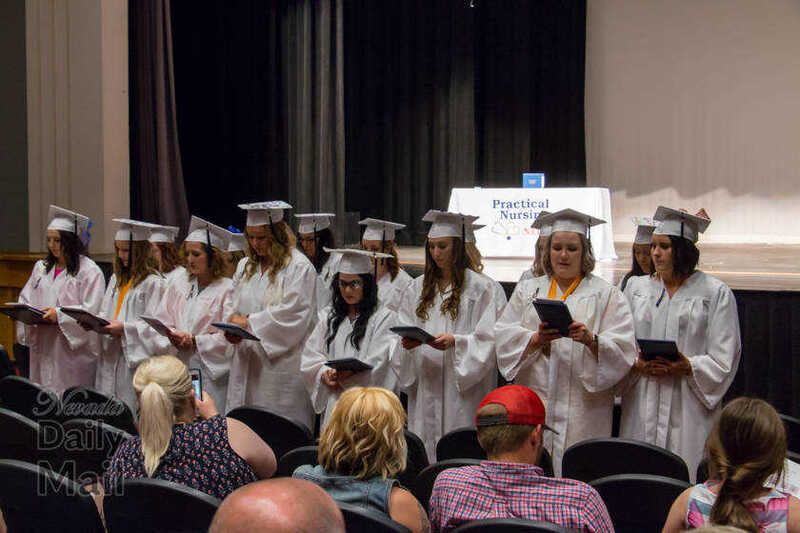 Members of the NRTC Practical Nursing class No. 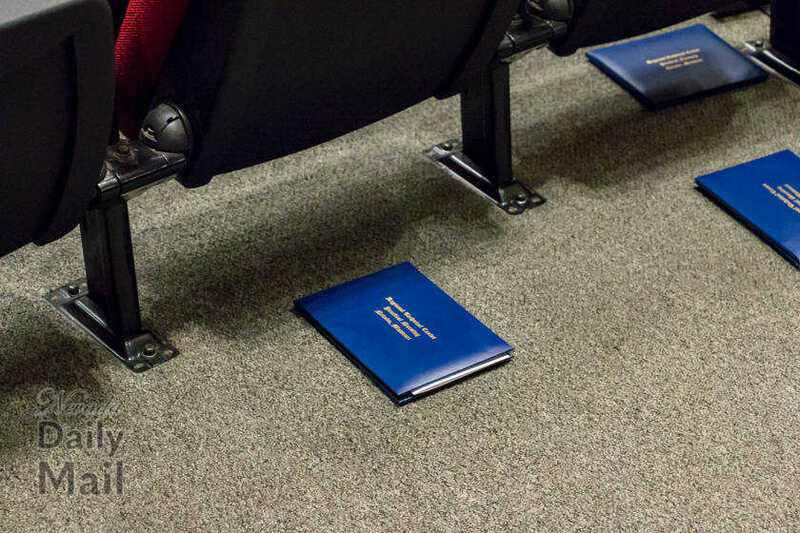 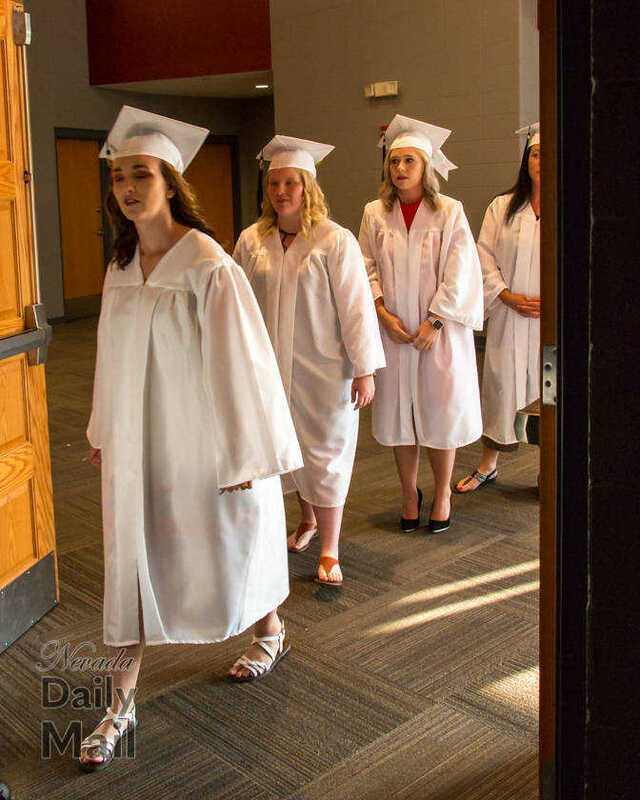 54 enter the Ella Maxwell Center for the Performing Arts for their graduation ceremony on Friday, June 8, 2018. 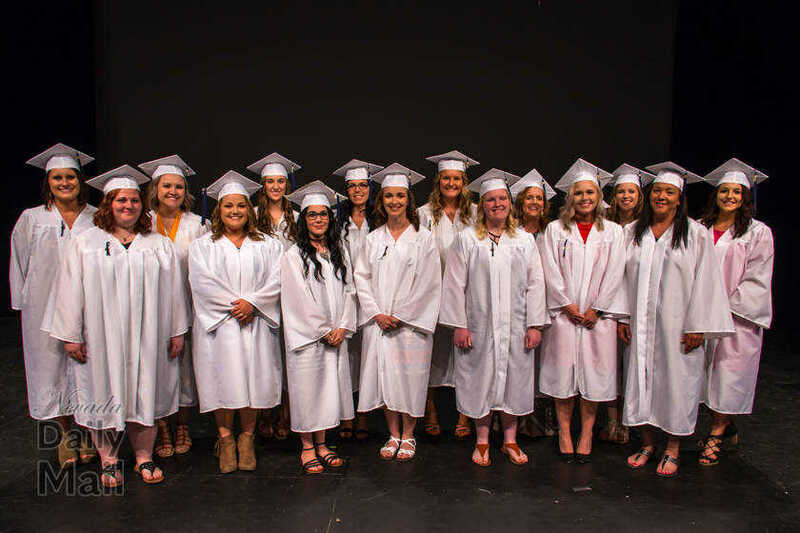 Members of the NRTC Practical Nursing class No. 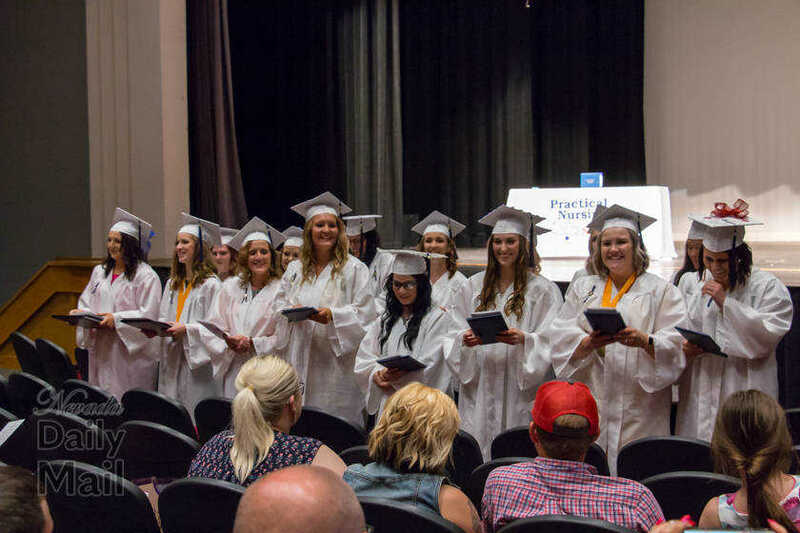 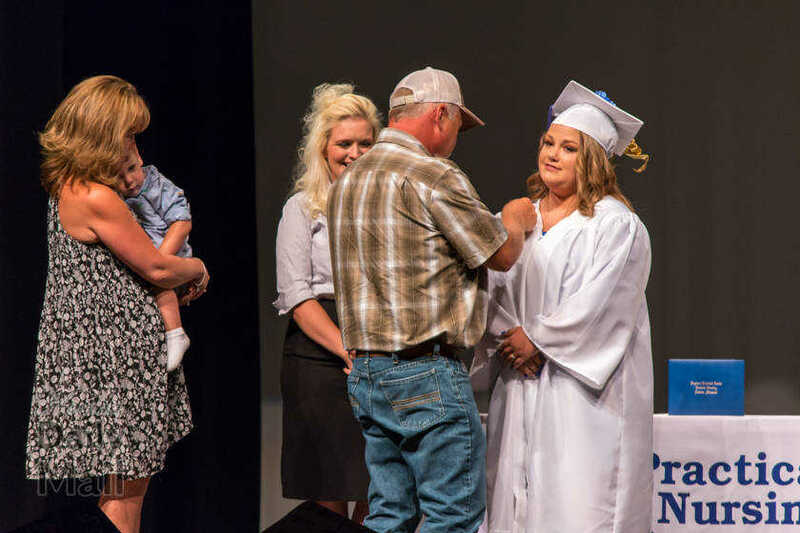 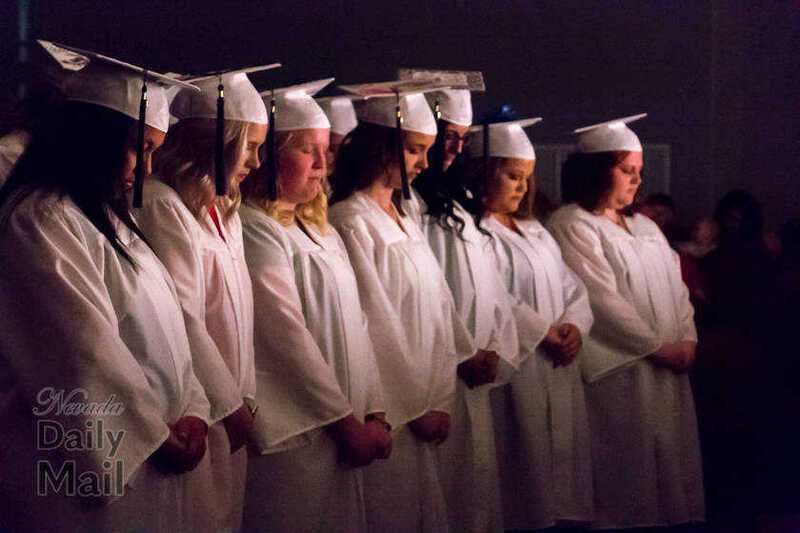 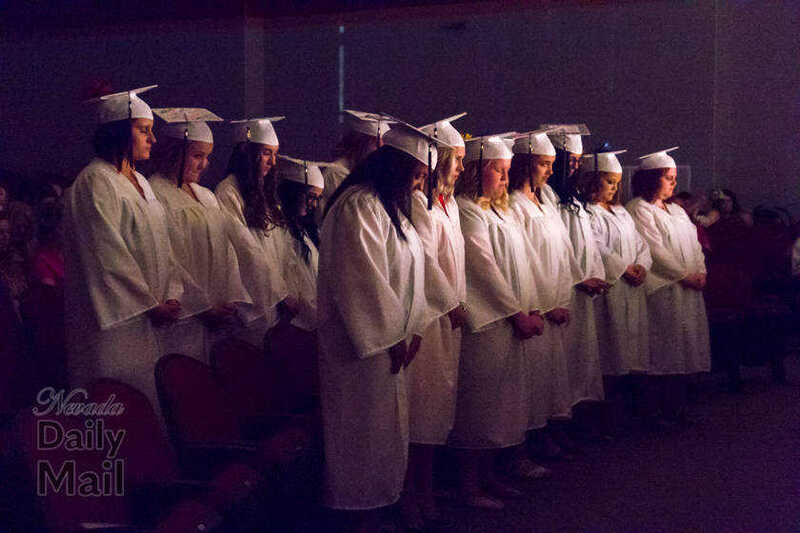 54 bow their heads in prayer at the beginning of their graduation ceremony on Friday at the Ella Maxwell Center for the Performing Arts at Nevada High School. 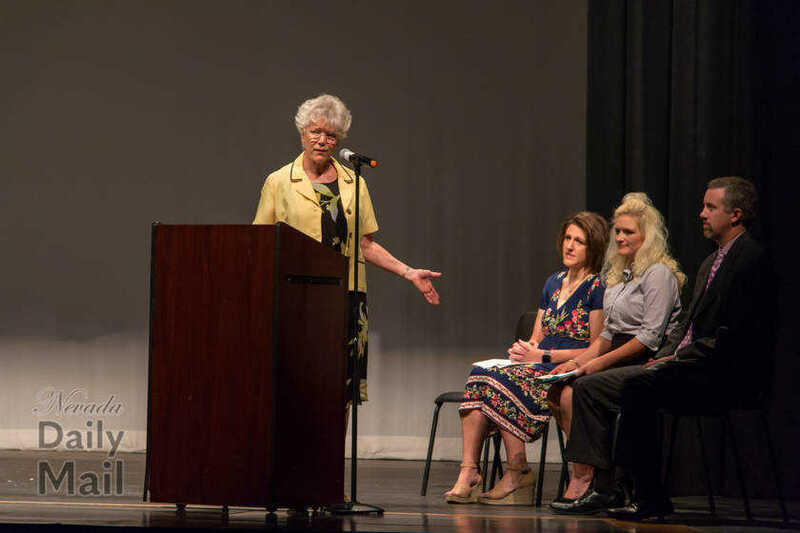 Linda Douglas, director of the NRTC Practical Nursing program, delivers the welcoming address to the students and their families and friends in attendance. 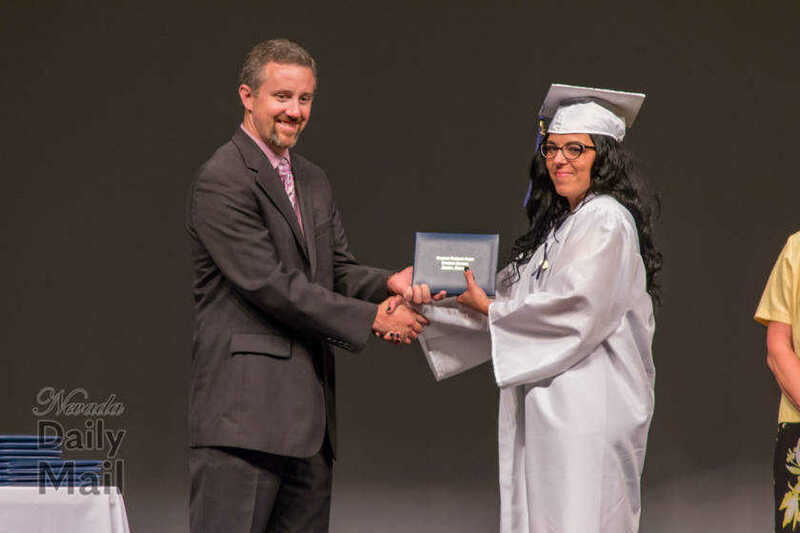 Receiving their career portfolios were (not in order) Kinede Houdashelt, HIlari Cole, Quincy Keating and Amanda Swopes. 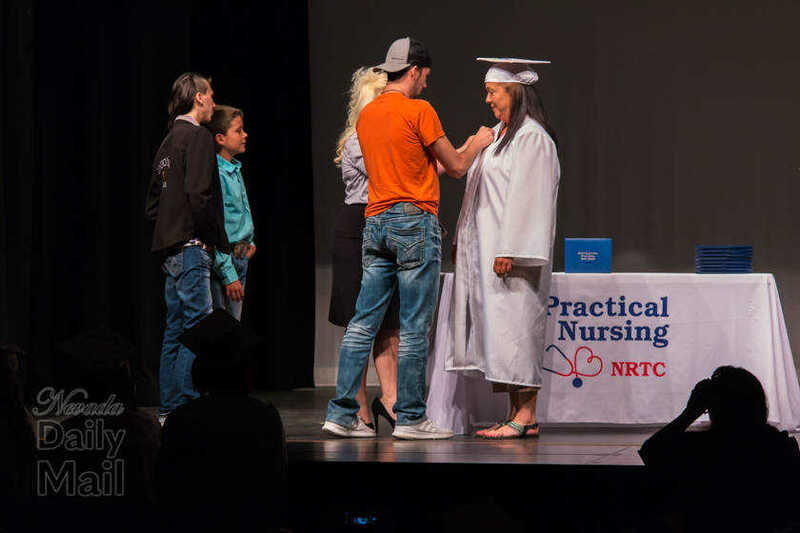 Nevada Regional Technical Center Practical Nursing class No. 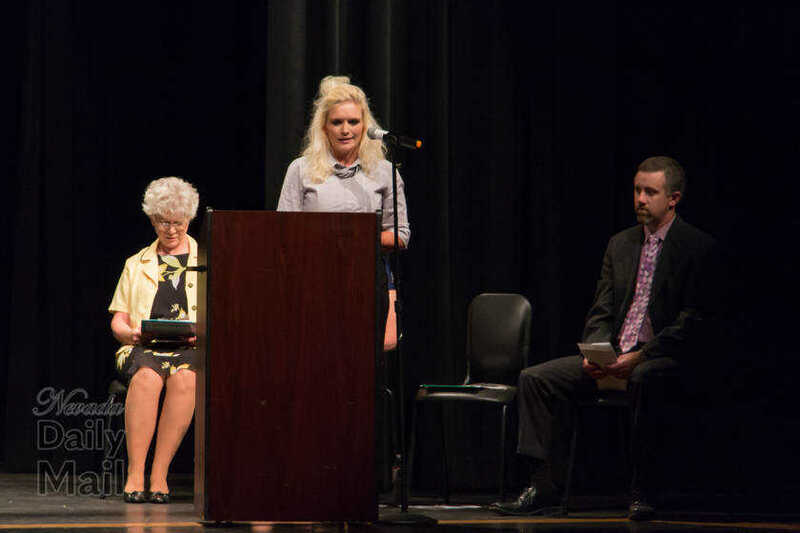 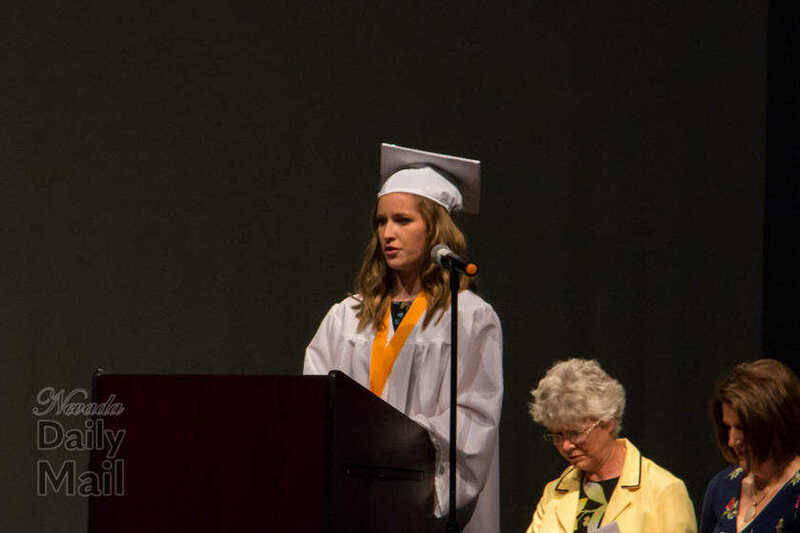 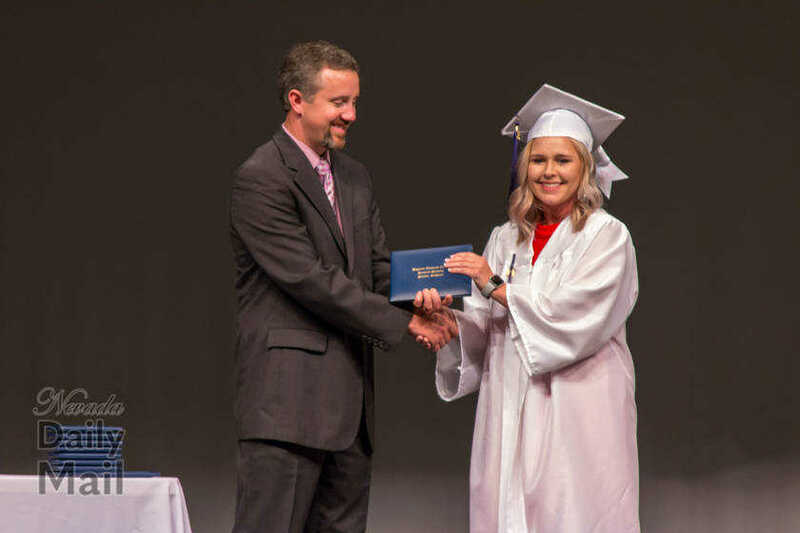 54 valedictorian Quincy Keating speaks during class No.54's graduation ceremony Friday at the Ella Maxwell Center for the Performing Arts at Nevada High School. 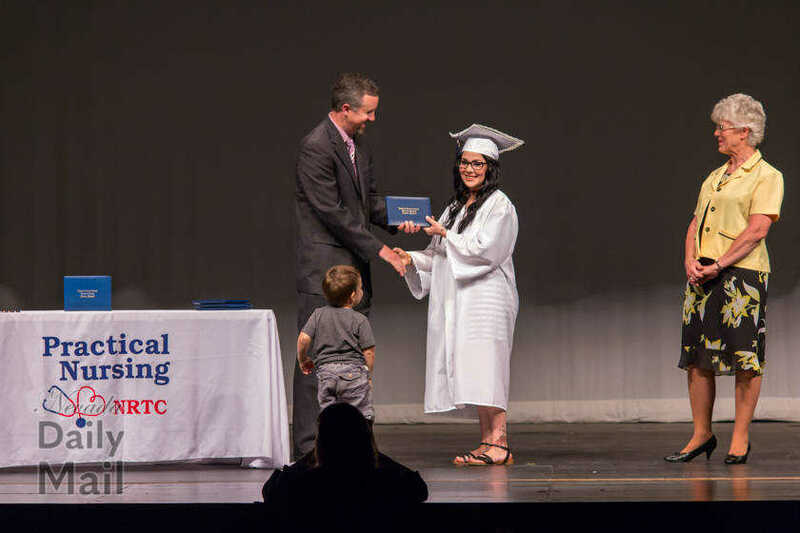 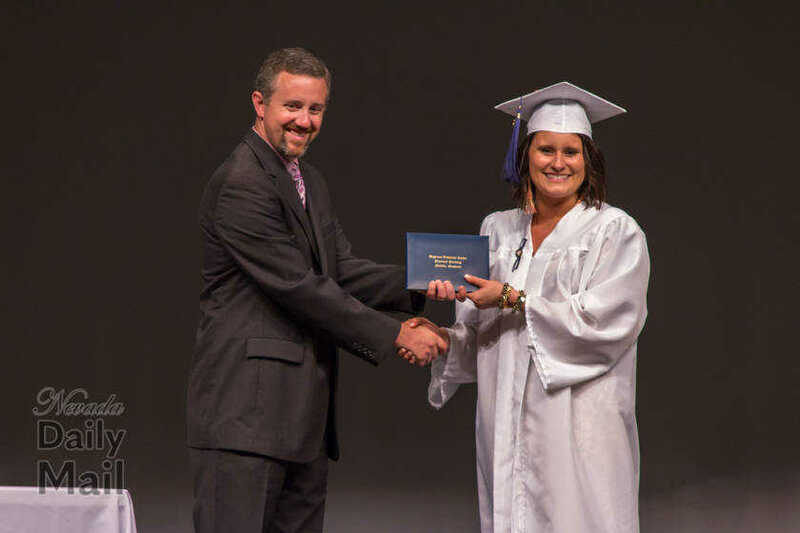 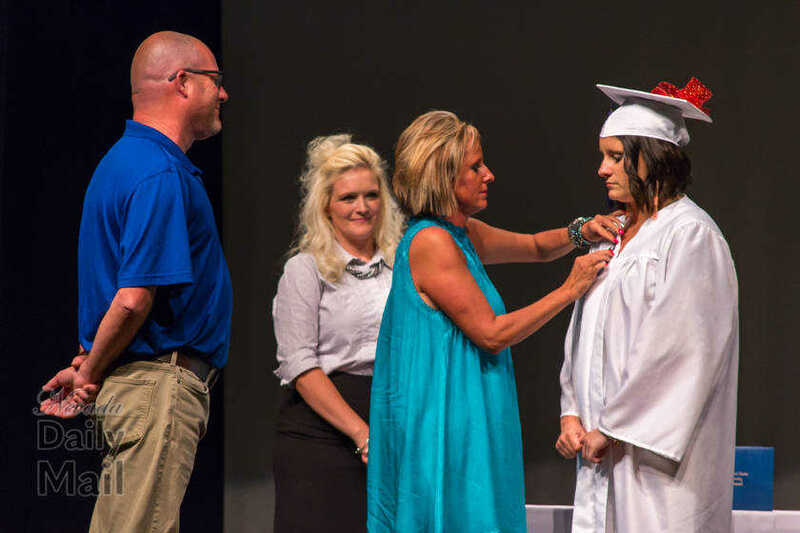 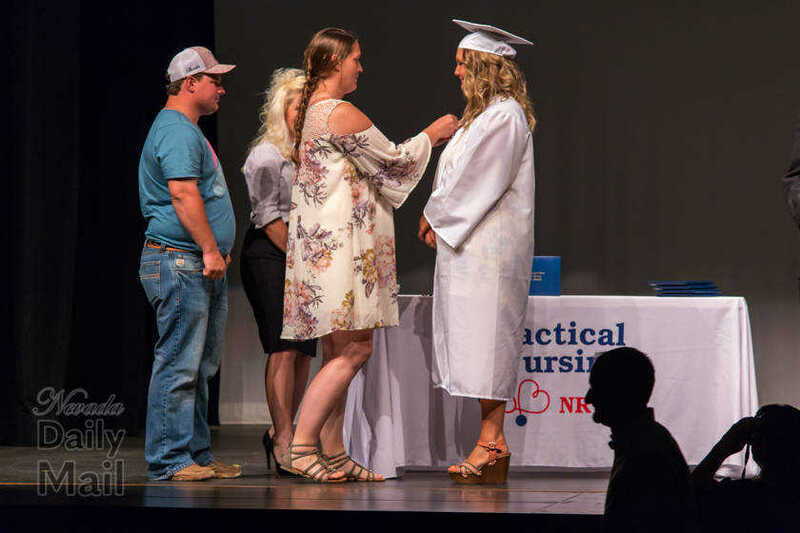 Practical Nursing instructor KA'Sandra Leer was the key note speaker for the graduation of NRTC Practical Nuring class No.54 on Friday at the Ella Maxwell Center for the Performing Arts. 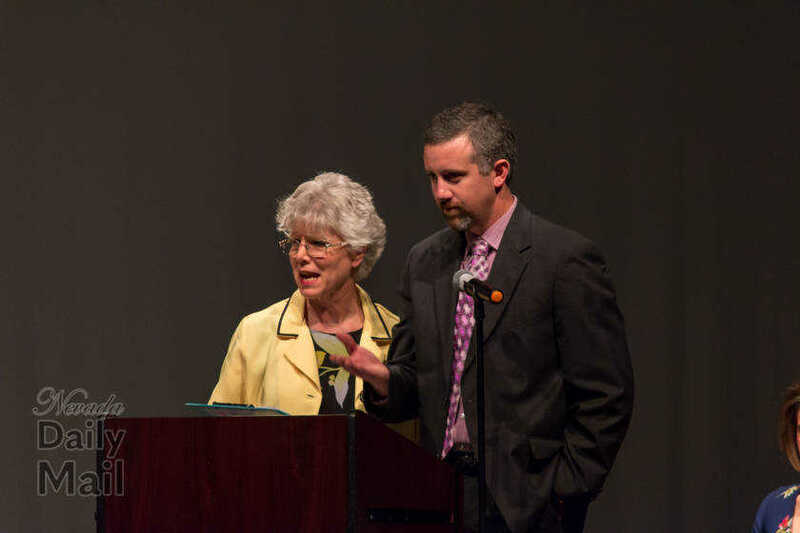 NRTC Practical Nursing director Linda Douglas (left) introduces out-going NRTC director Dr. Phil Whitt. 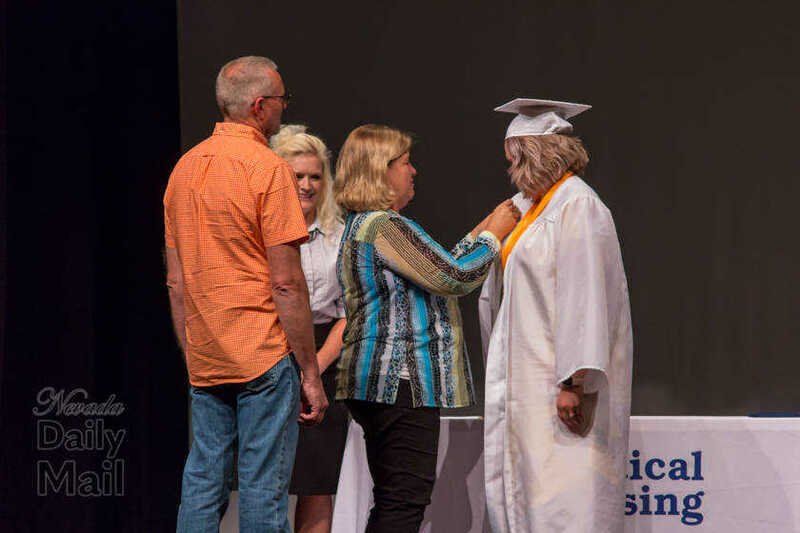 Brooke Best receives her pin from her father Dennis Best and her mother Robin watches. 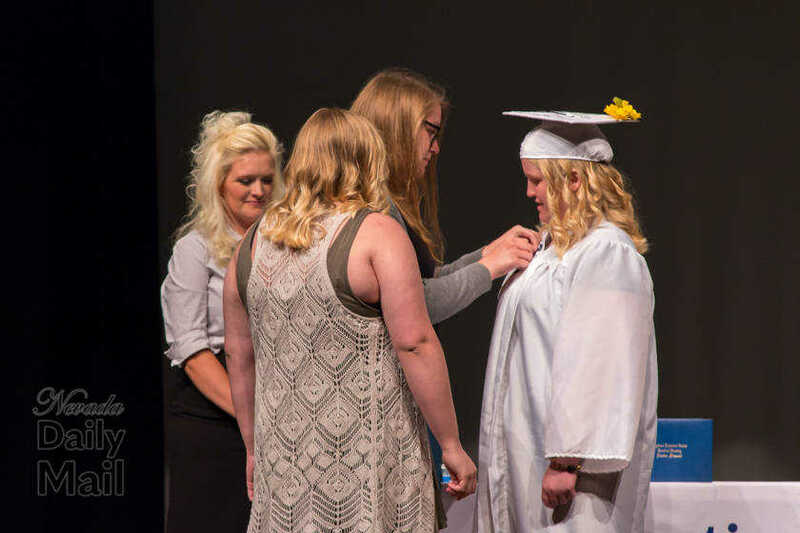 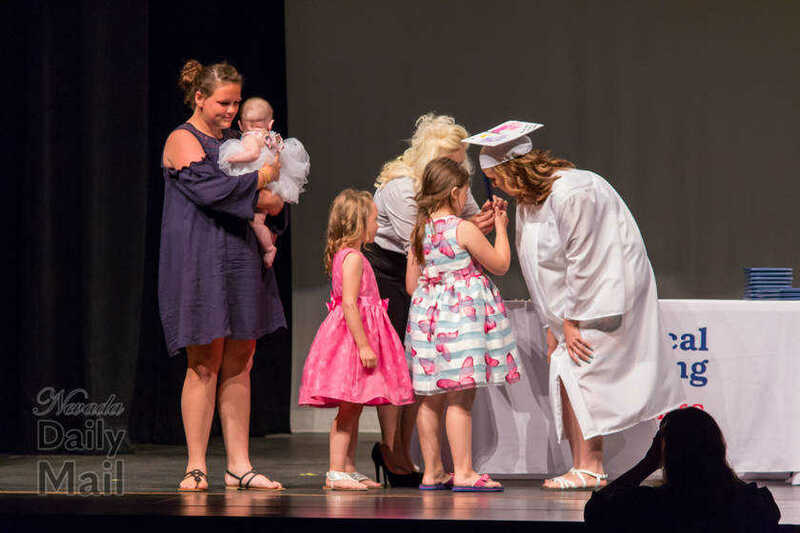 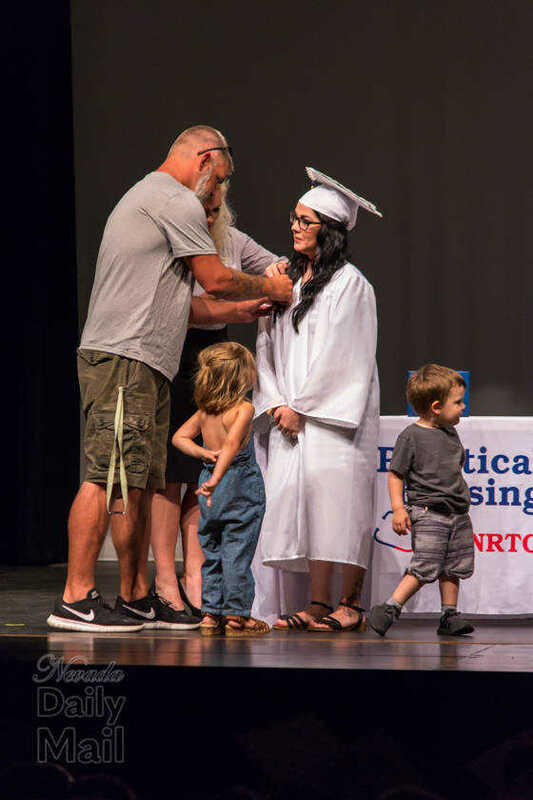 Natasha Chamberlin receives her nursing pin from her daughters Lillyanne, Chloe and Paytyn and sister Alanna during the graduation ceremony for NRTC Practical Nursing class No. 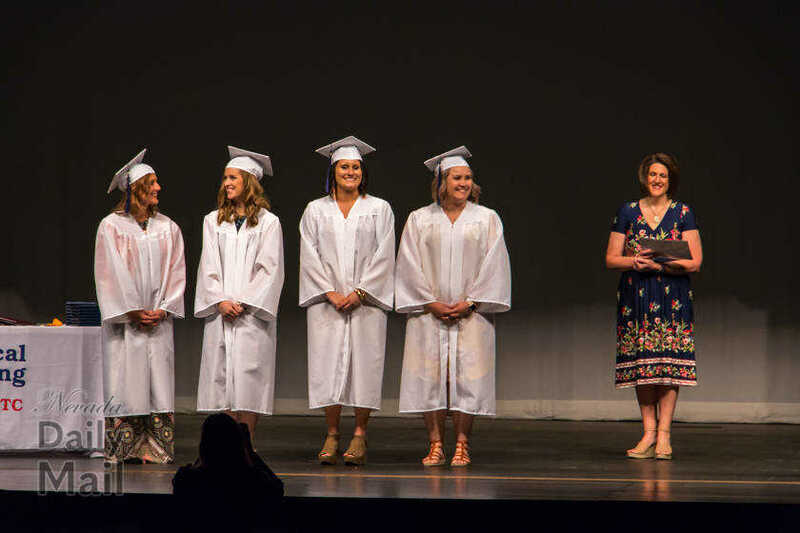 54 at the Ella Maxwell Center for the Performing Arts on June 8, 2018. 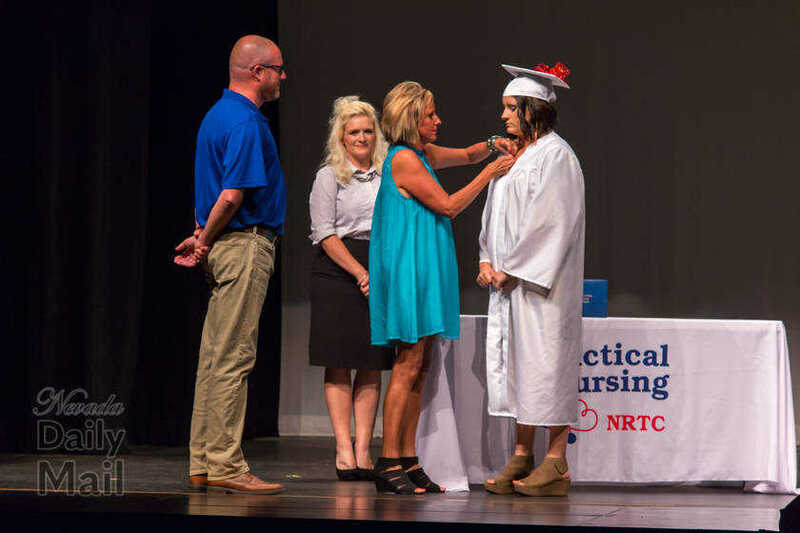 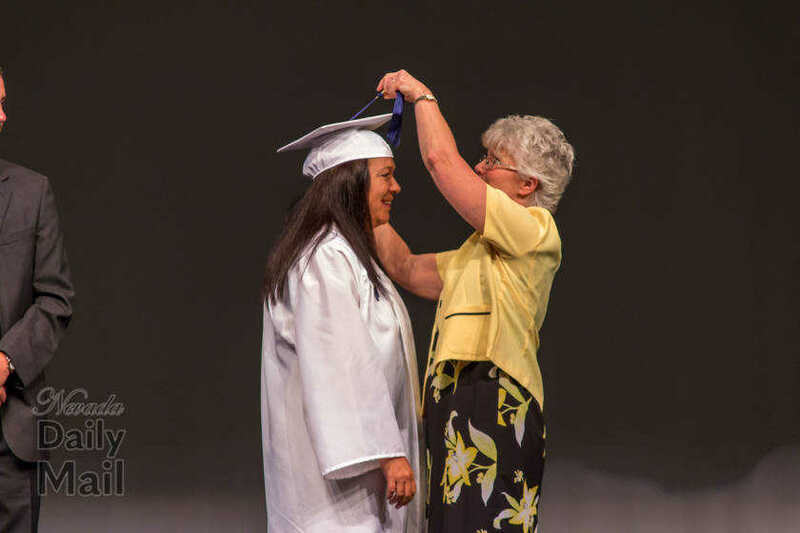 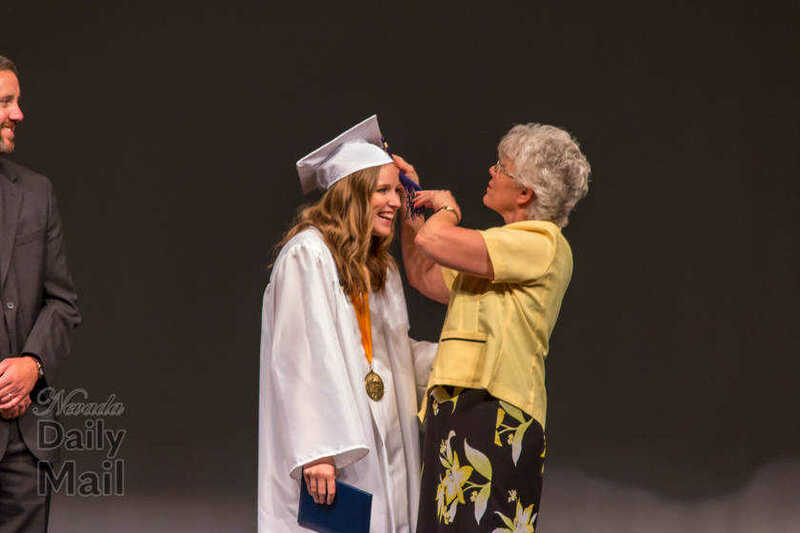 NRTC Practical Nursing director Linda Douglas (right) turns Quincy Keating's tassel during graduation ceremonies for class No. 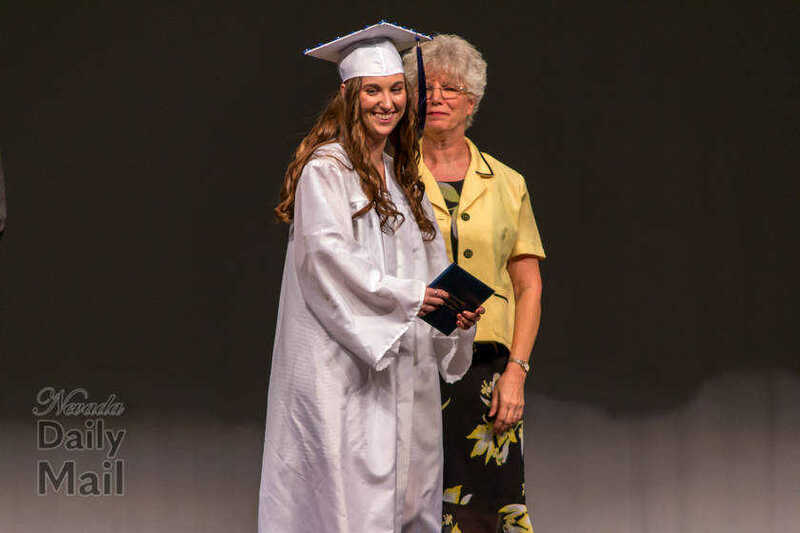 54 at the Ella Maxwell Center for the Performing Arts on June 8, 2018. 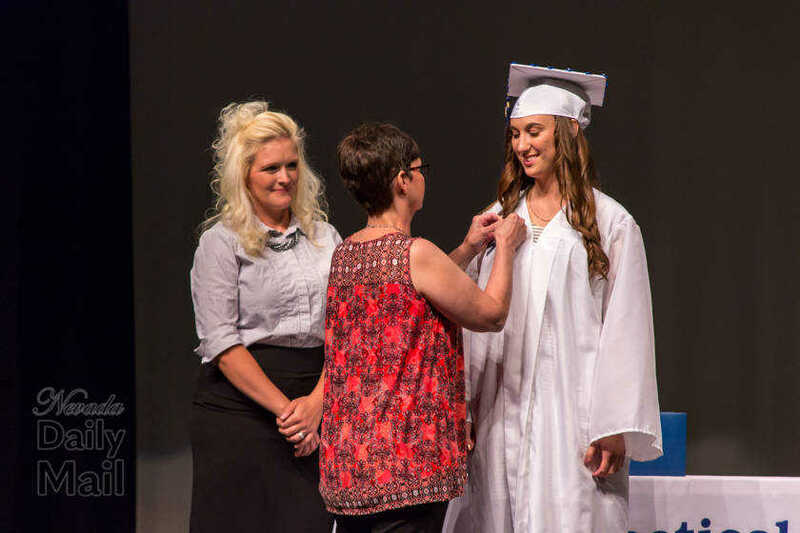 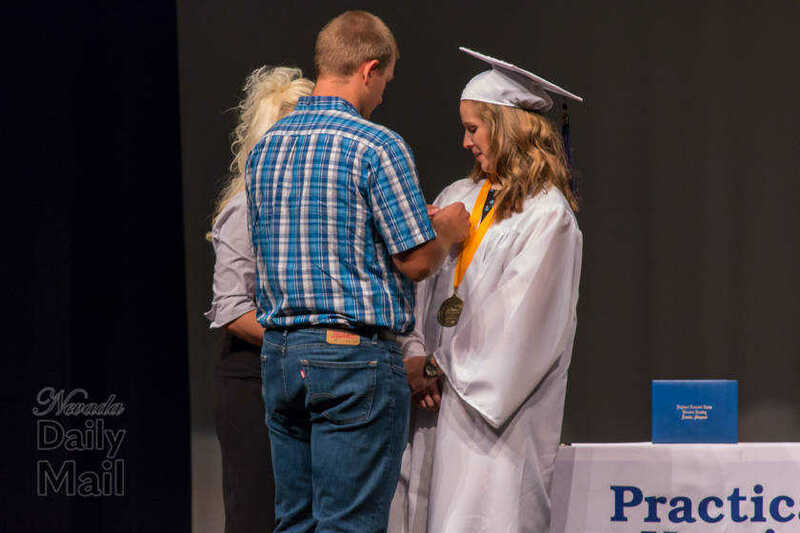 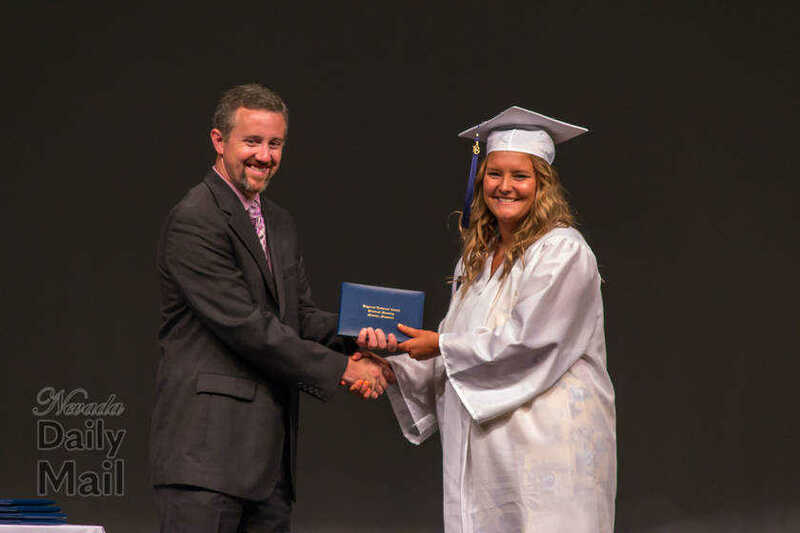 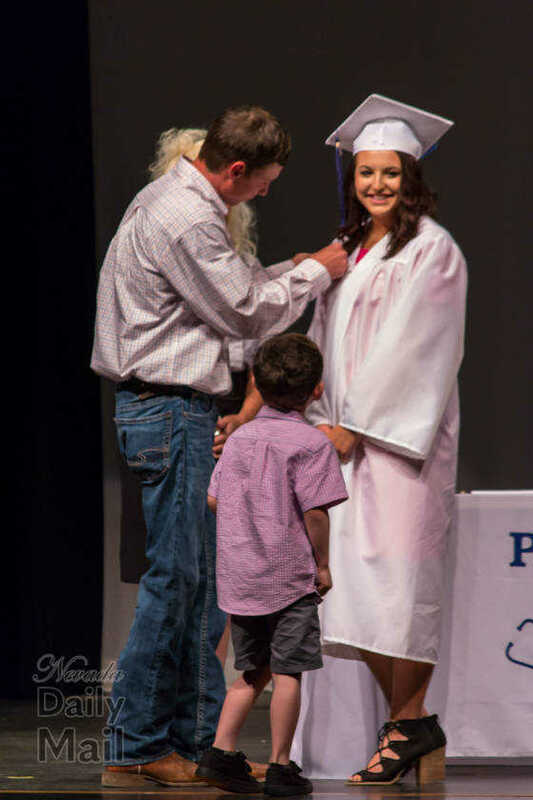 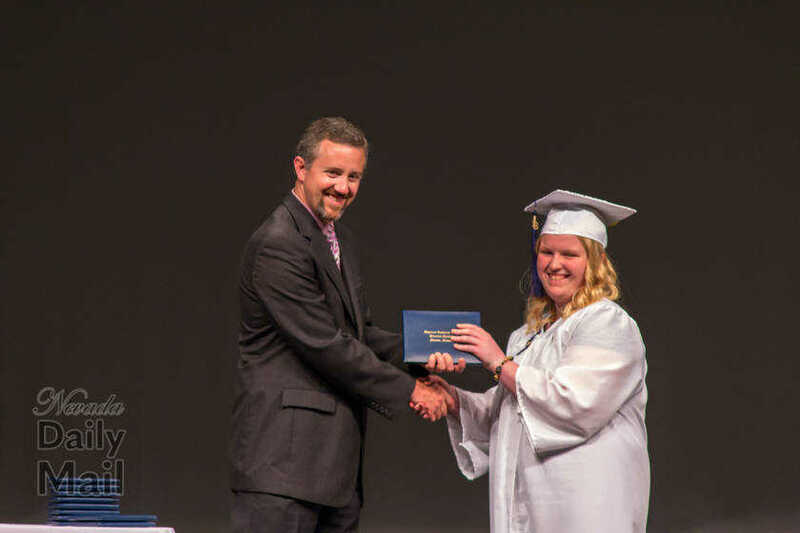 Lexi Nelson receives her nursing pin from her mother, Alex Nelson, R.N. 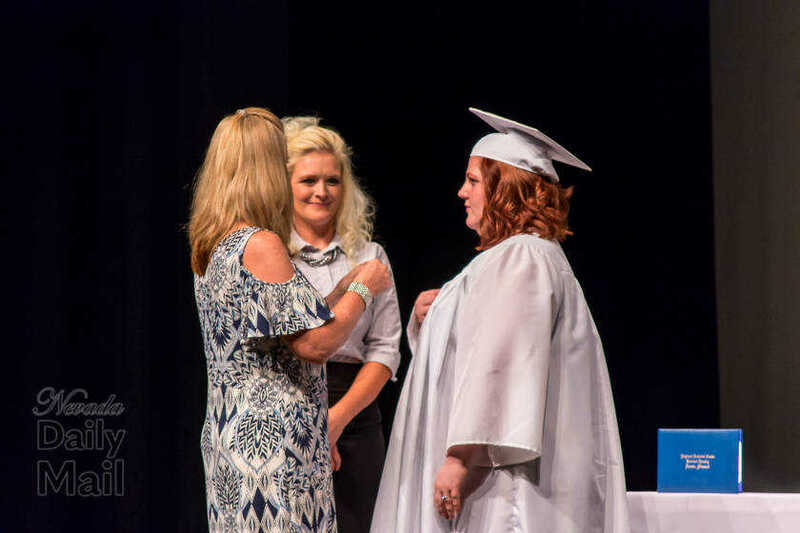 Alexandrea White receives her nursing pin from her mother Jennifer White, R.N. 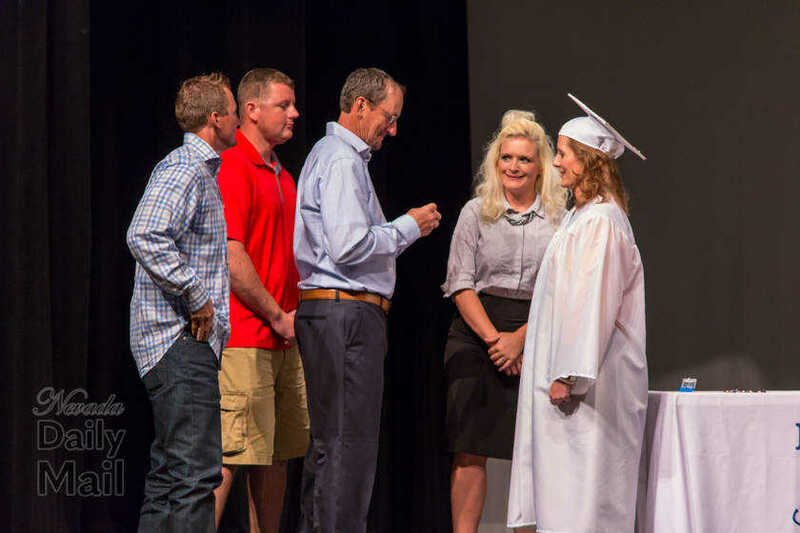 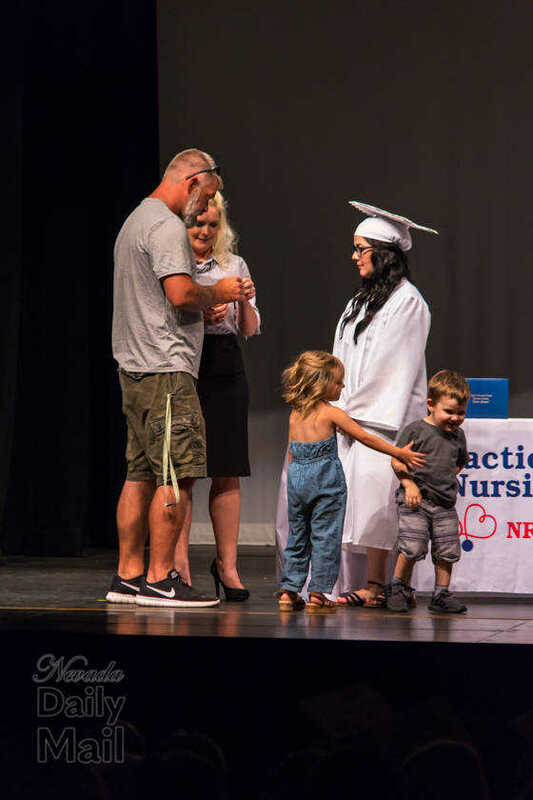 as her father Bill watches during the graduation ceremony for NRTC Practical Nursing class No. 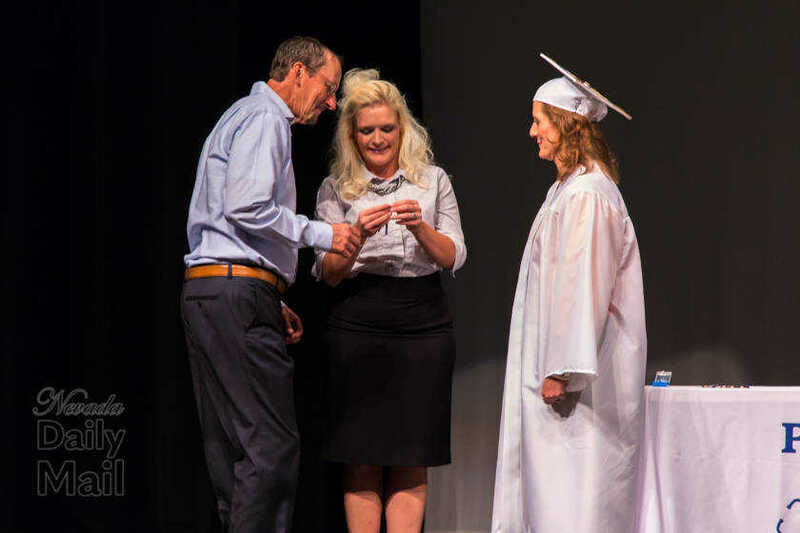 54 at the Ella Maxwell Center for the Performing Arts on June 8, 2018. 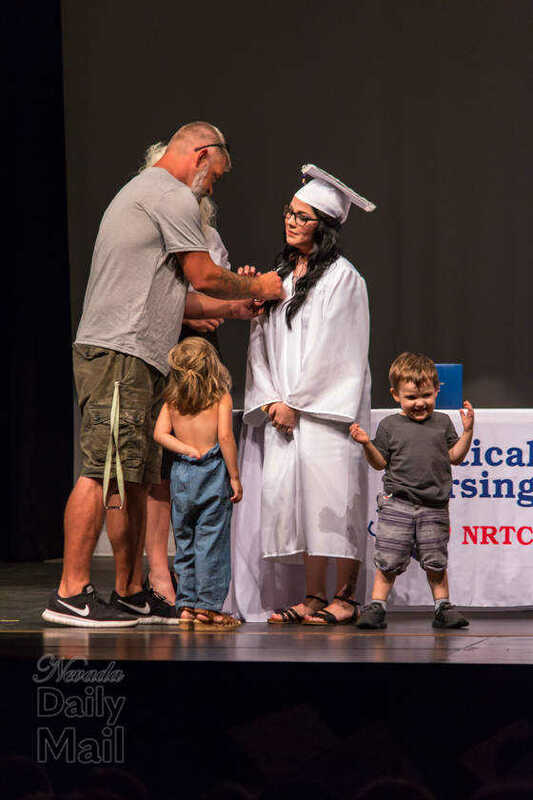 Members of NRTC Practical Nursing class No. 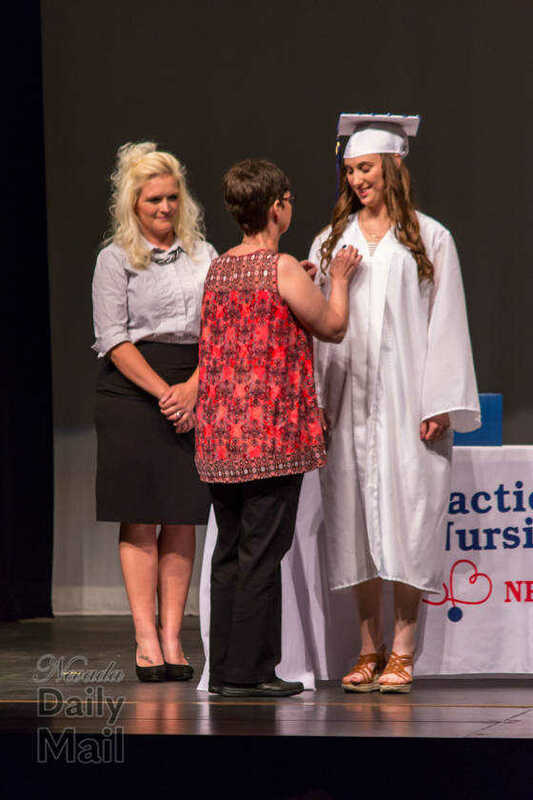 54 recite the nurse's pledge.